Your evening beer will be an all-round success! 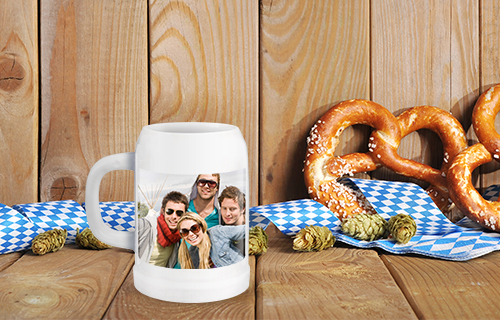 This panoramic beer mug will make the amber liquid taste better than ever: It has your personal favourite picture printed all around it! Perfect, and not just for parties and clubs! The genuine ceramic mug holds half a litre of beer and its special protective coating even makes it dishwasher-proof, although we recommend washing by hand. 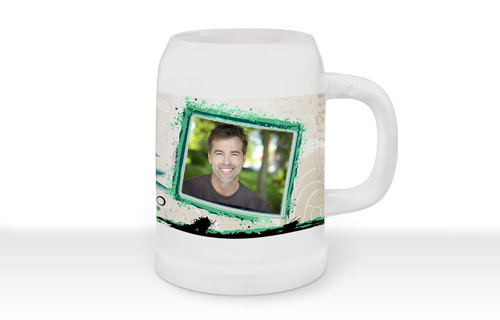 Tip: Our individual design templates will make your beer mug even more original!